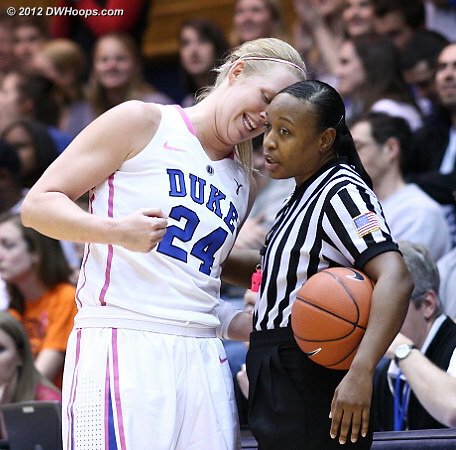 All photos for this game have been published - they appear in chronological order to best illustrate the story of today's game. 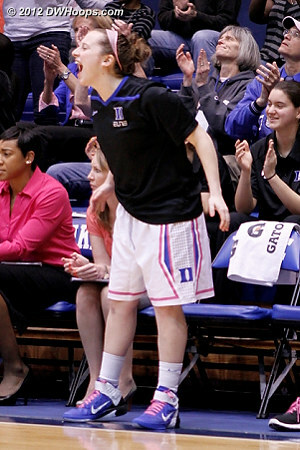 DWHoops members may log in to see larger versions of all photos plus 40 member exclusive shots. 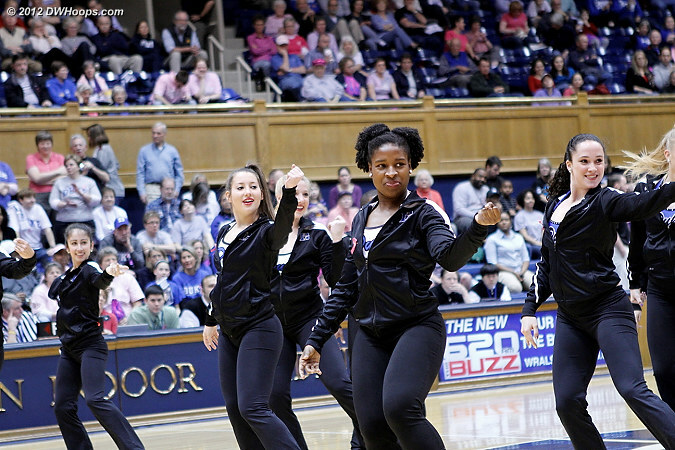 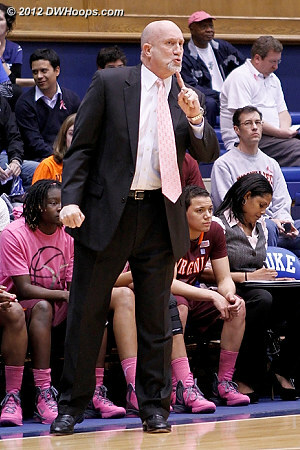 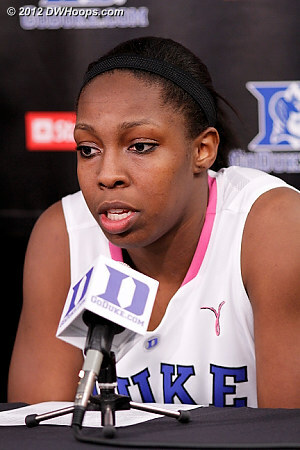 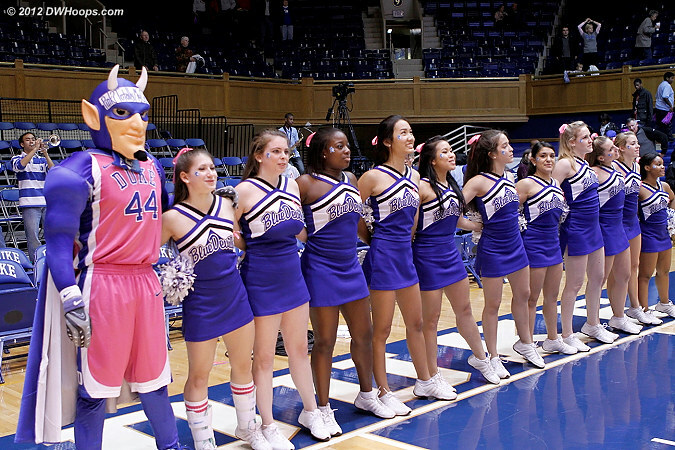 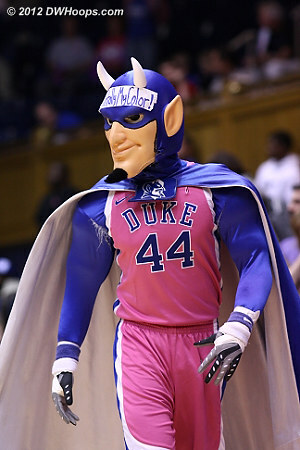 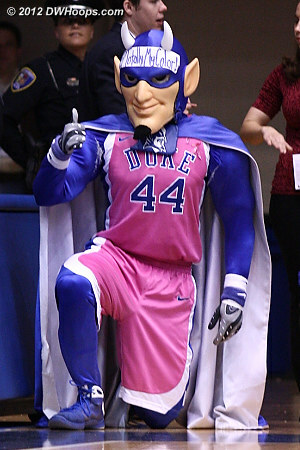 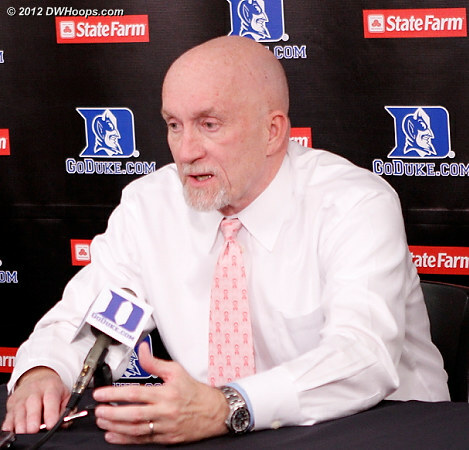 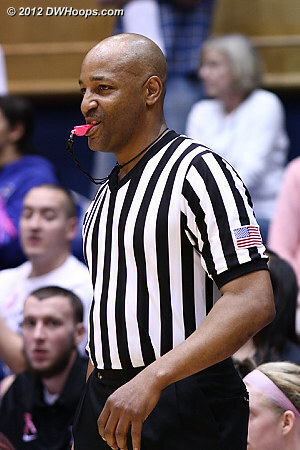 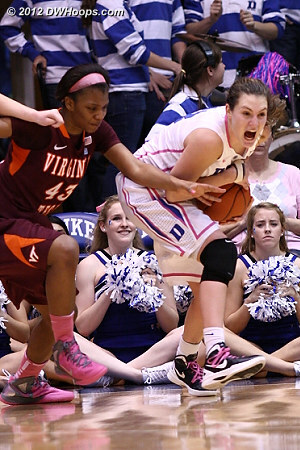 The Blue Devil had his pink on for Play4Kay, benefiting the Kay Yow Foundation. 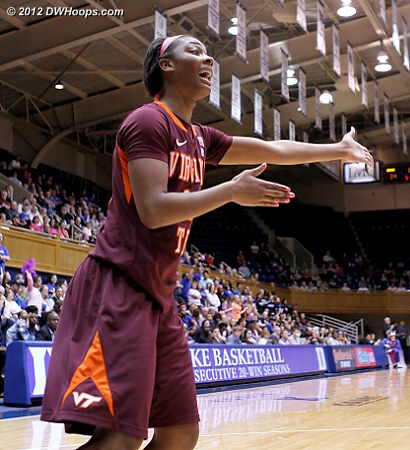 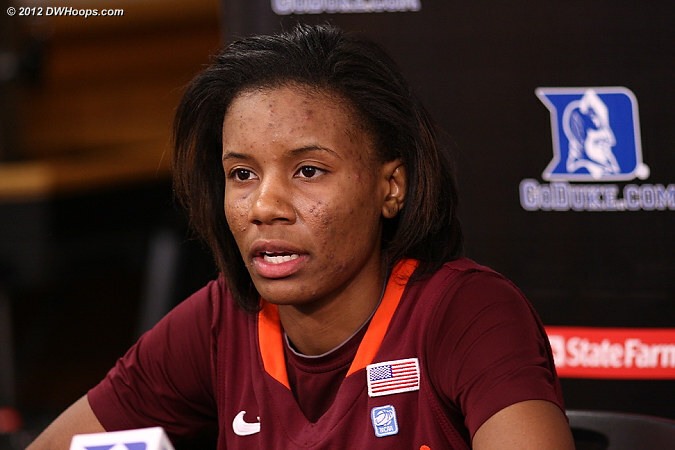 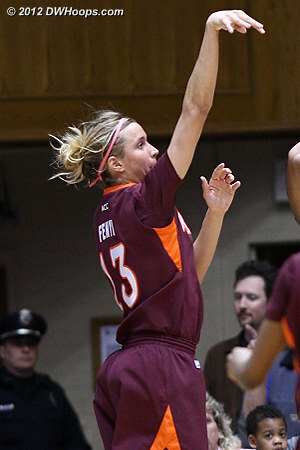 Aerial Wilson came out on fire for the Hokies, scoring their first eleven points. 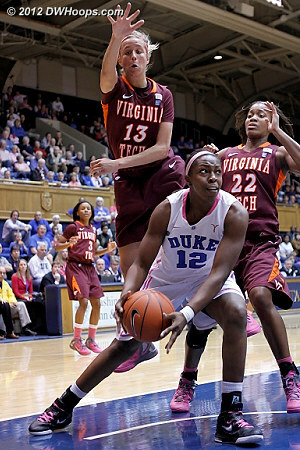 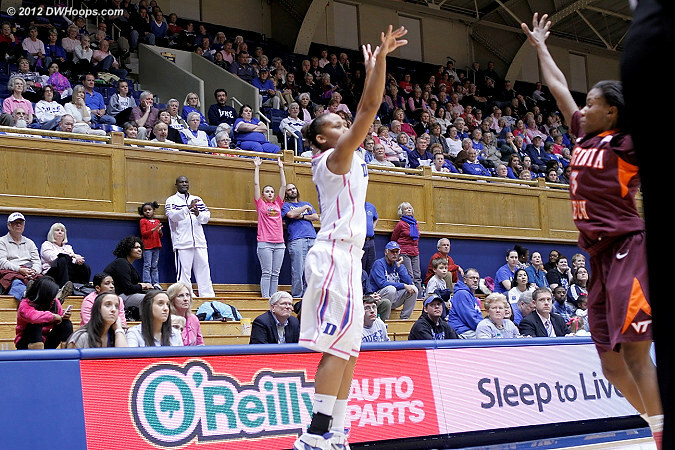 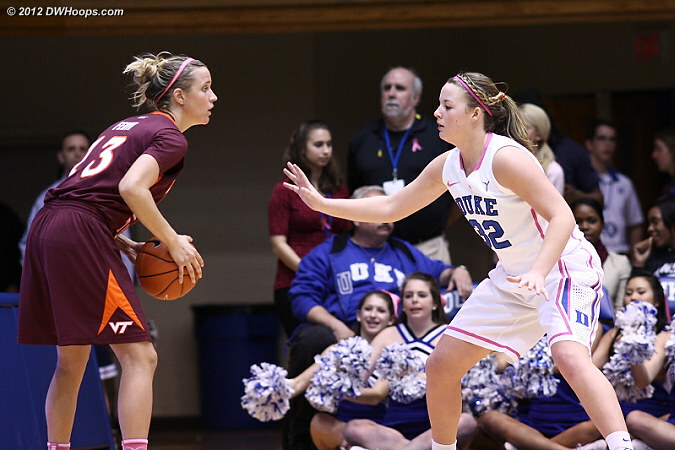 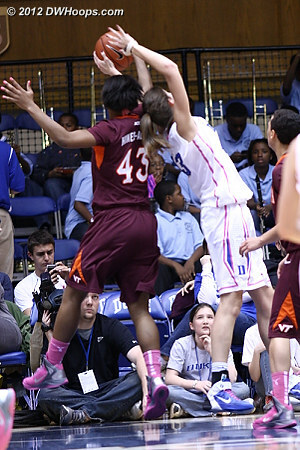 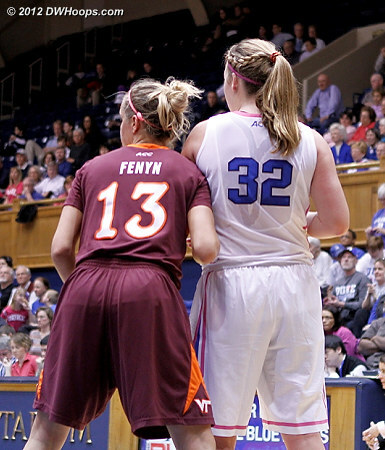 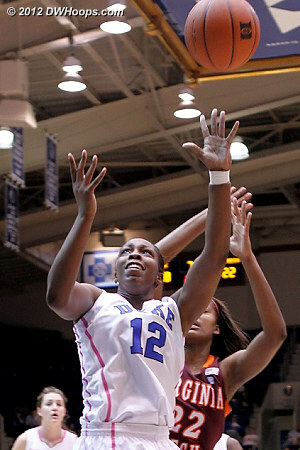 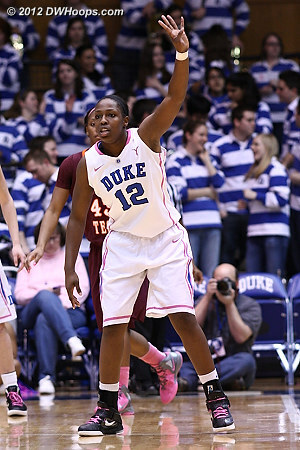 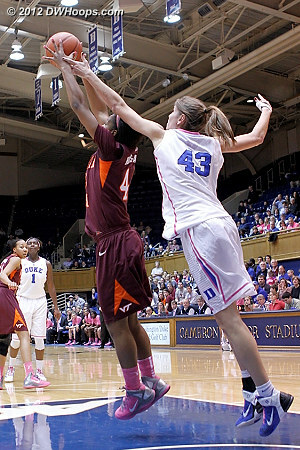 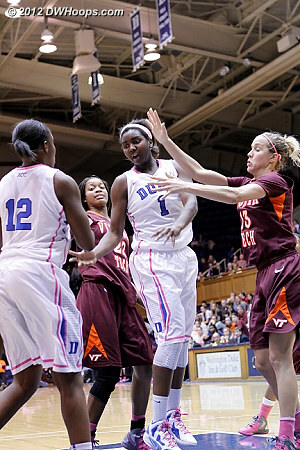 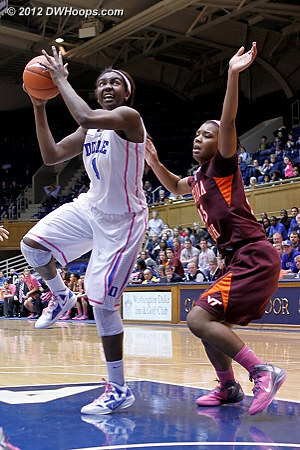 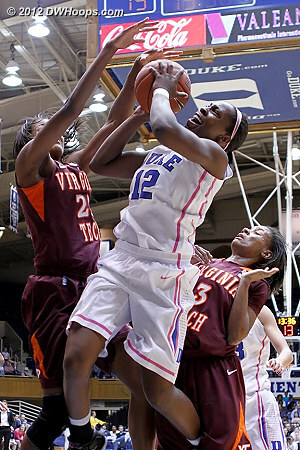 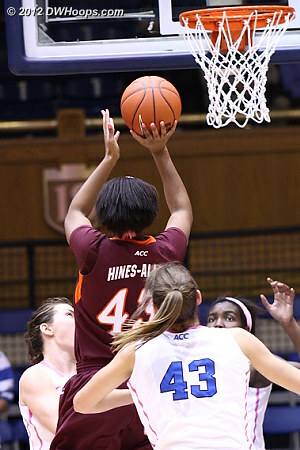 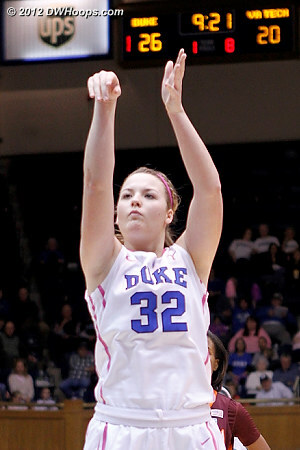 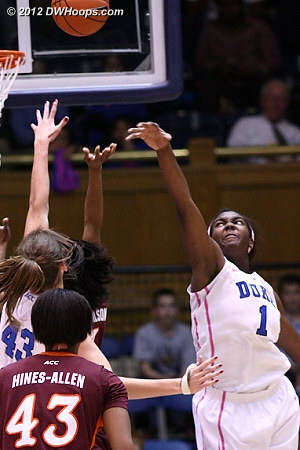 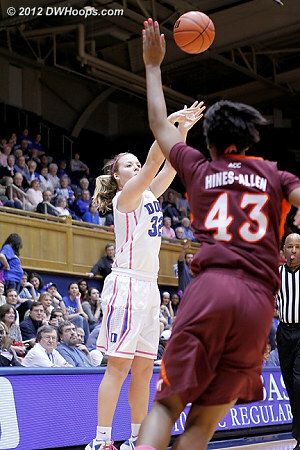 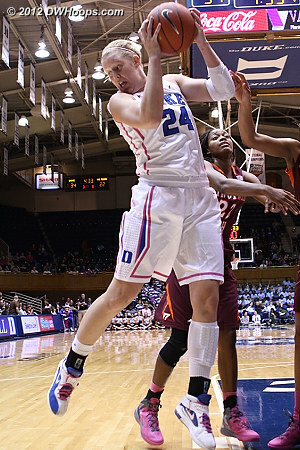 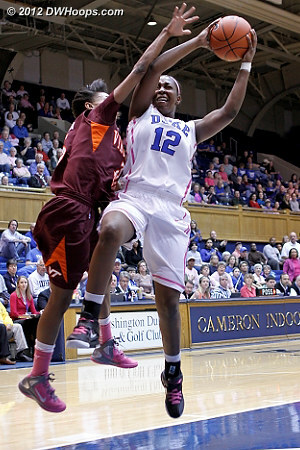 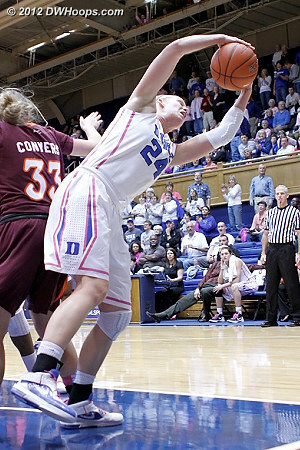 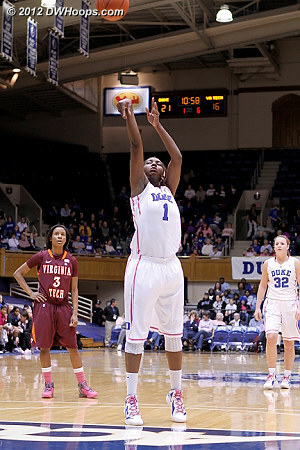 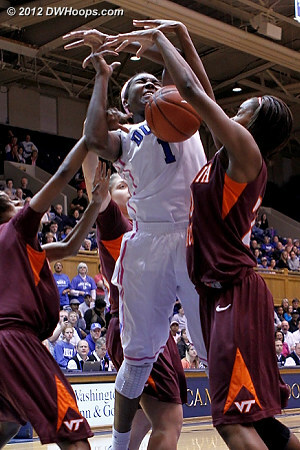 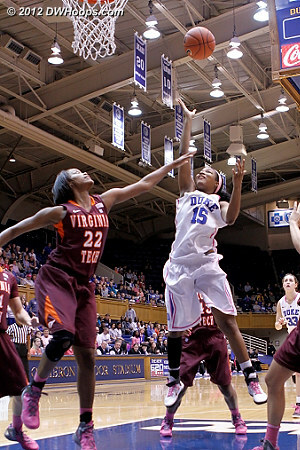 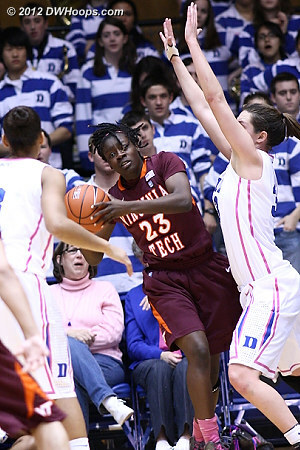 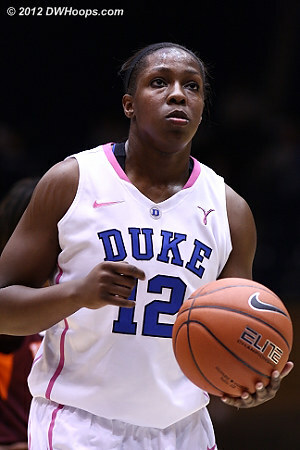 Williams made these two free throws to put Duke up 23-16, but for the night she was 6-12 from the stripe. 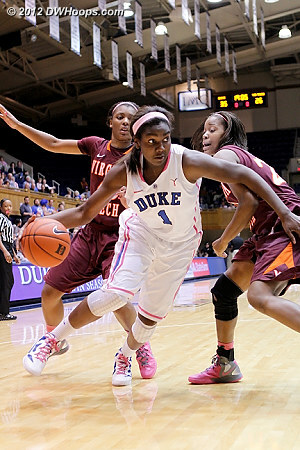 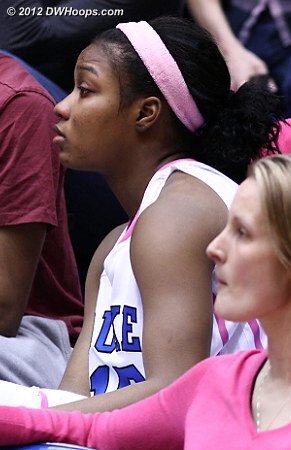 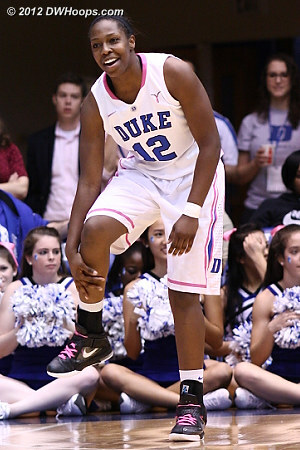 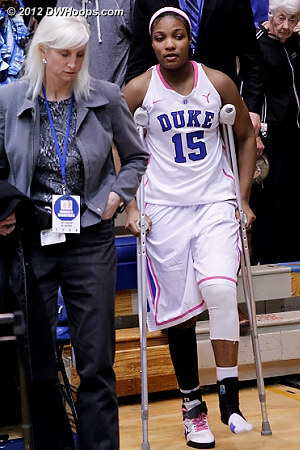 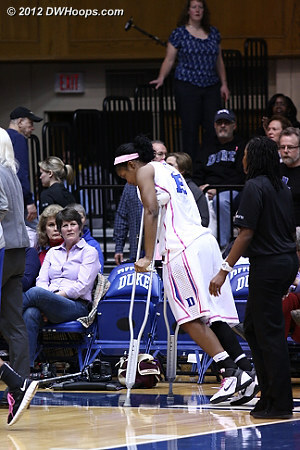 Richa Jackson injured her left knee on this play - Duke later announced that she would miss the remainder of the season with a torn ACL. 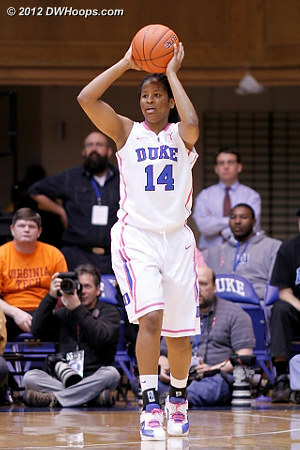 Wilson's shooting cooled off, she finished the first half 6-15 including three consecutive misses from distance. 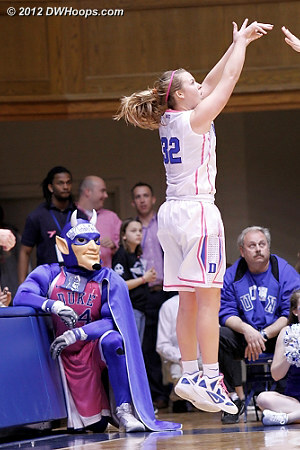 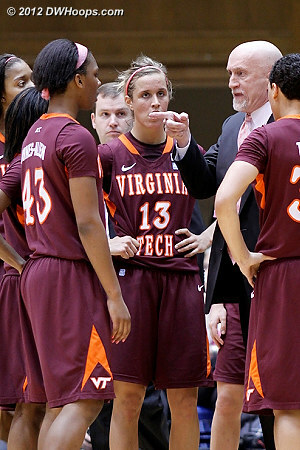 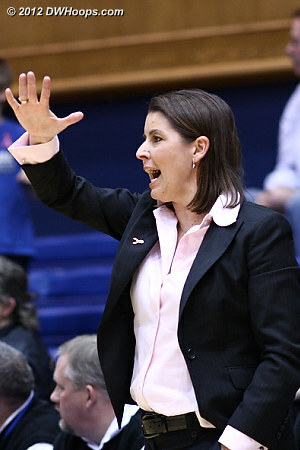 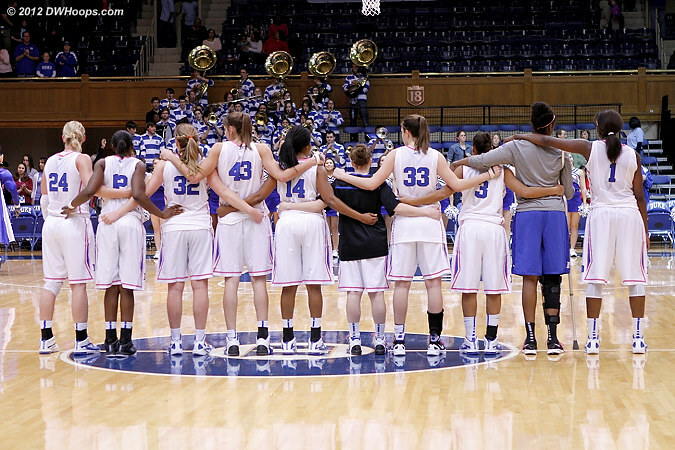 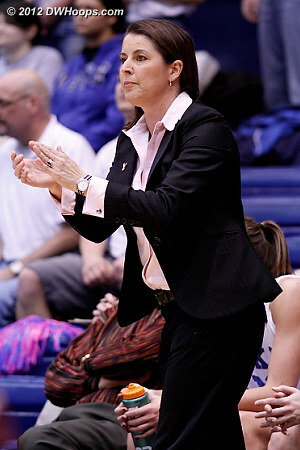 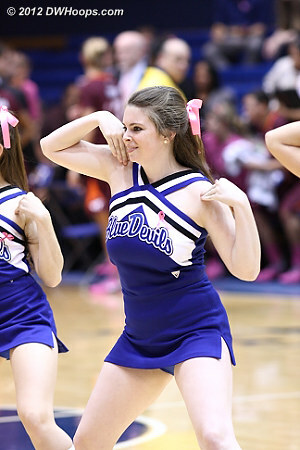 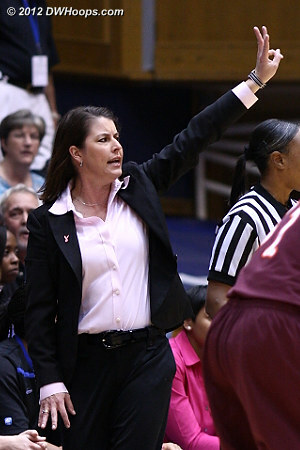 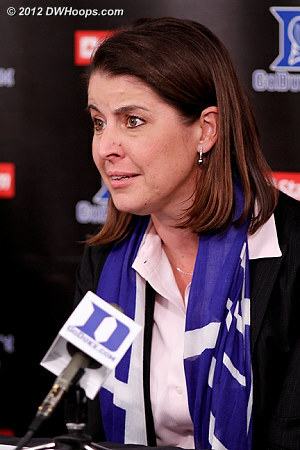 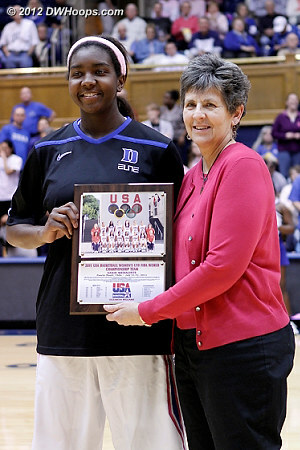 Kathleen Scheer brought energy to the Blue Devils when they desperately needed it. 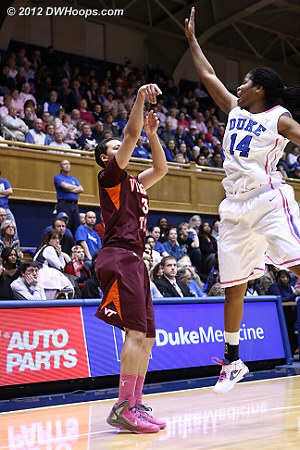 Duke did not score a field goal in the last 6:03 of the first half. 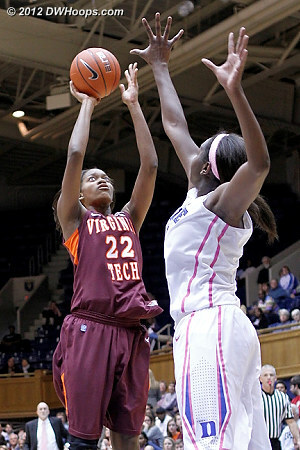 Tech felt like they weren't getting any calls as the first half free throw disparity was 20-0. 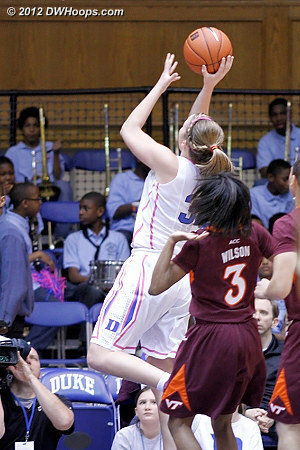 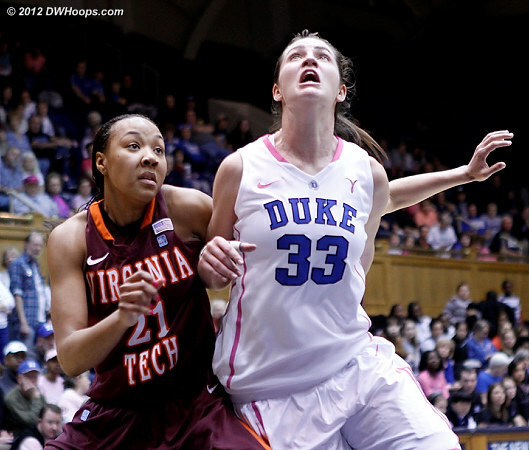 Tricia hit back to back treys to balloon Duke's lead from seven to 13. 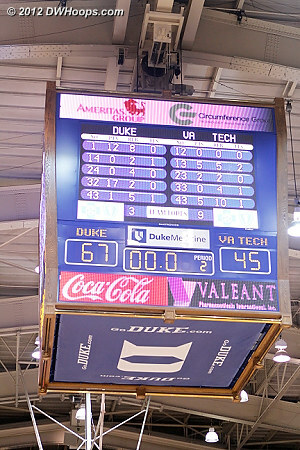 Tech cut it to 11 with back-to-back treys, but Duke answered by scoring the final 11 points of the game to win by 22.